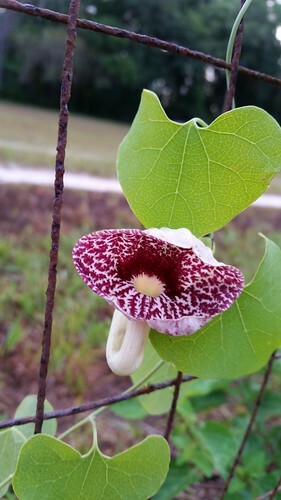 This plant has been growing for a year surrounded by weeds. I hope to get it to reach the top of the fence in a year or two. 10/26/2014. 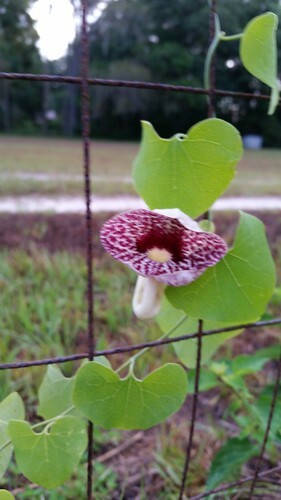 Sown from my Dutchman's Pipe Vine Seeds. Kevalsha has marked this plant as available for swap. If you would like to set up a swap, send Kevalsha a message or leave a comment below.